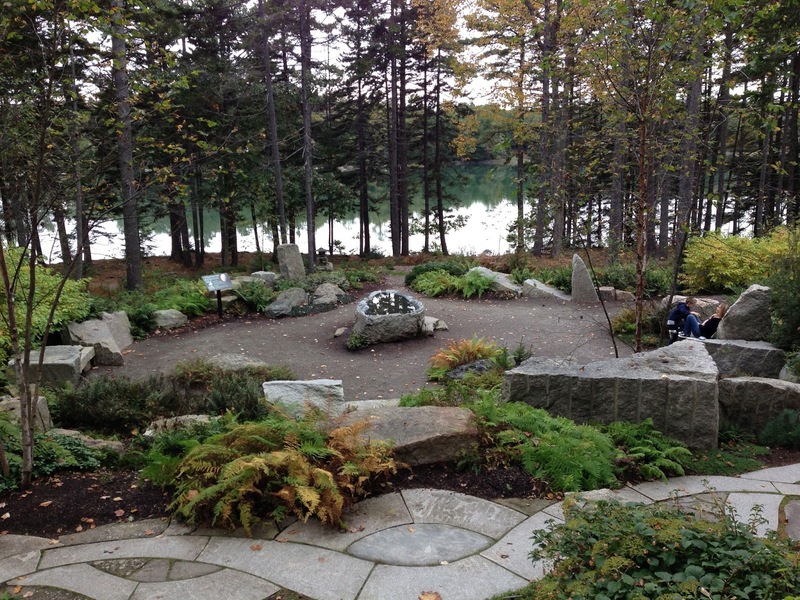 Fall is a beautiful time of year at the Coastal Maine Botanical Gardens in Boothbay. The bright colors of summer have dulled into gorgeous golds, oranges, and reds. With the slight chill in the air and the earthy smell of fall, a walk through the woods with the kiddos is the perfect way to spend an afternoon. Best of all the traffic going up Rt. 1 lightens and you can actually get a parking spot on the drive through Wiscasset. Definitely stop if you didn't get your Red's lobster roll over the summer, or just for a walk around the adorable little town. 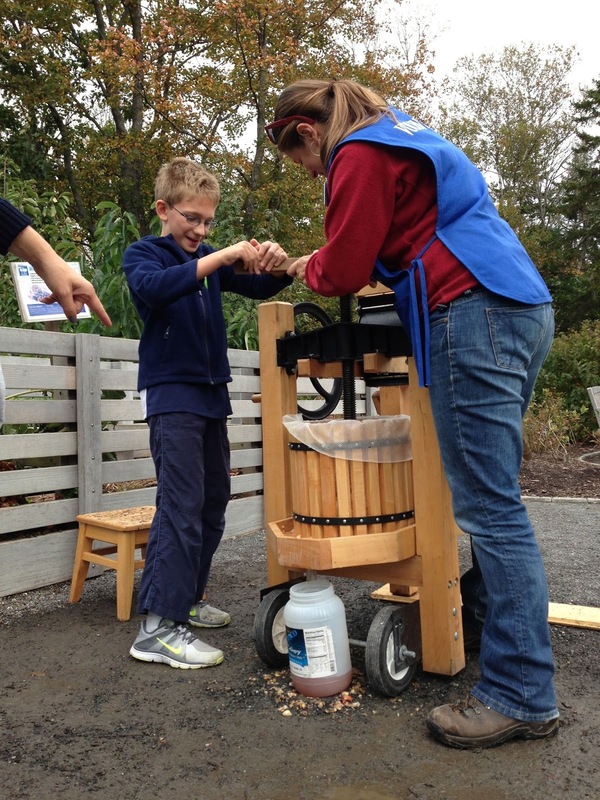 For the next four Sundays the Coastal Maine Botanical Gardens is bringing back "Cider Sundays", where you can learn all about the process of pressing apples into cider. The little C&Gs loved doing this last year and were amazed at how much effort it takes for so little juice. They each got a turn at the press, and Little C&G had to call in some extra muscle from his big brother as it was incredibly hard to crush down the apples. It takes 30-40 apples just to make one gallon of delicious cider, and the boys made it through only 5-6 apples before their arms gave out. Thankfully they had quite a few jugs going so we did get to try some fresh out of the press and we were all rewarded for their hard work. Cider Sundays run September 22 through October 13 from 1:00 to 3:00 and it's free with admission. 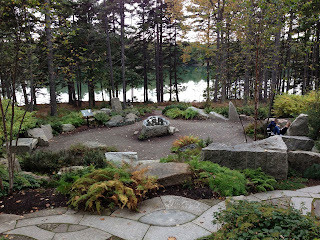 The Botanical Gardens are just over an hour from Portland, and admission is $14 for adults and $6 for kids 3-17. Check out my summer post on the CMBG for food suggestions if you get hungry on your way through Brunswick. Donuts and gelato are conveniently at the halfway point in this walkable college town.